New Orleans is probably best known for Mardi Gras, but staying in the historic French Quarter is an unforgettable experience any time. There is a timeless quality about the oldest neighborhood in New Orleans, with many of the buildings predating the city's entrance into the United States. The original city was founded as Vieux Carré in 1718 by the French. However, the famous architecture isn't colonial. After the Great New Orleans Fire in 1788 and a second fire in 1794 destroyed most of the buildings with peaked roofs and wood siding, occupying Spanish rebuilt with colorful stucco and familiar decorated ironwork. Most of these buildings were built in the 1820s, borrowing from African, French, Spanish and Caribbean styles. The iconic history of the Omni Royal Orleans. New Orleans didn't become part of the United States until the Louisiana Purchase of 1803. What the country acquired along with the territory was a city that, despite being occupied by Spain for years, maintained the rich and colorful heritage of the French Creoles who founded it. 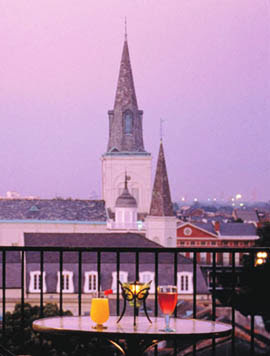 Much of that history remains intact, as do many properties, including the Omni Royal Orleans. It originally opened as the Saint Louis Hotel in the summer of 1843 and was an immediate success in a neighborhood developed by some of the most important Creoles in the city. It was successful right up to the American Civil War. After, the hotel slowly decayed until it was finally blown to rubble by the great hurricane of 1915. It wouldn't see a vibrant life again until 1960 when it reopened as the Royal Orleans and earned its own pop culture prominence in the 1960s and 1970s. It was mentioned as the best hotel in Arthur Hailey's novel Hotel, featured prominently in the James Bond film Live and Let Die, and was immortalized by Led Zeppelin with the song Royal Orleans. The song recounts how John Paul Jones brought a woman from the bar up to his room, unaware she was a transvestite, to smoke a few joints. They fell asleep and the room caught on fire. Everyone escaped safely and Mick Jagger eventually wrote the lyrics to tease Jones. 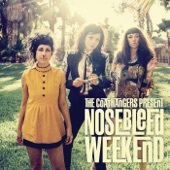 They never performed the song live. Countless celebrities have stayed at the hotel, including Charlton Heston, Muhammad Ali, Robert Redford, and Bette Davis. It was also the steady haunt of jazz pianist and composer Armand Hug, who played on even after being afflicted with arthritis. A bit about the modern day Omni Royal Orleans. Today, while some people think the Omni Royal Orleans is getting tired, the 4-Diamond hotel still features luxurious deluxe rooms and suites tastefully furnished in 19th century decor. The best of them include private balconies overlooking the famed streets of Royal and St. Louis. The hotel itself takes up the entire block and includes modern amenities alongside the charm. One of several reasons the hotel is an attractive place to stay in the French Quarter is its location, which is just far enough from Bourbon Street (one block) to offer some peace in between the lively French Quarter action. When I stayed, there were street musicians right outside my room. Something to keep in mind before booking a room, but it didn't bother me. Omni Royal Orleans is also home to the infamous Rib Room, which was one of the first of its kind in North America. You definitely want to eat there at least once while you are in New Orleans. Its local charm still attracts prominent locals and literary greats. Chef René Bajeux, former chef of the Grill Room and René Bistrot, took the helm in May, but I suspect everything at the Zagat-award winner is still prepared on giant French rotisseries and mesquite grills. (For breakfast, try the French toast with bananas Foster.) After dinner, sneak up to the pool and bar on the roof. It will feel like a second home. Omni Royal Orleans Is Perfectly Suited At 7.8 On The Liquid Hip Richter Scale. This isn't the first time we've had reason to highlight an Omni Hotel, which owns about 50 distinctive luxury hotels and resorts in North America. The brand was also featured for the dubious history of the Omni New Haven Hotel at Yale. While rates vary, Orbitz currently lists the Omni Royal Orleans as low as $143 per night (some people have claimed to have locked in rates as low as $80). 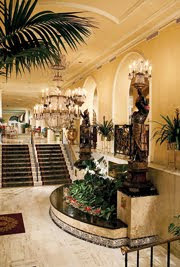 Area hotels in New Orleans are still affordable since Hurricane Katrina, even though the French Quarter was largely unscathed and the Omni Royal Orleans was undamaged. You can check airfare rates at Fare Buzz with flights up to 60 percent off. Another great thing about New Orleans in recent years is that it has attracted an increasingly younger crowd. In fact, this Memorial Day weekend marked the first time New Orleans has started to feel like it is on a roll again. Occupancy has been up 20 percent all spring, indicating that New Orleans might finally be back!